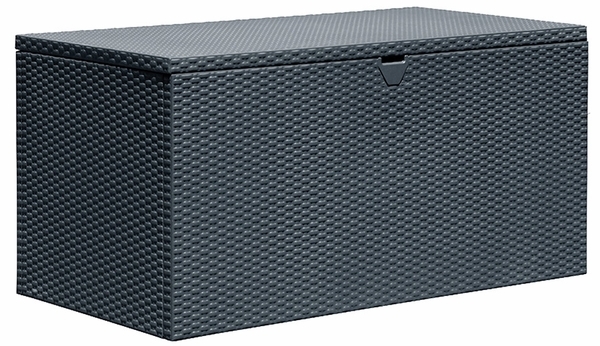 The 4.4 x 2.3 x 2.2 ft. Spacemaker Deck Box is an attractive and versatile outdoor storage bench with roomy, and convenient storage. 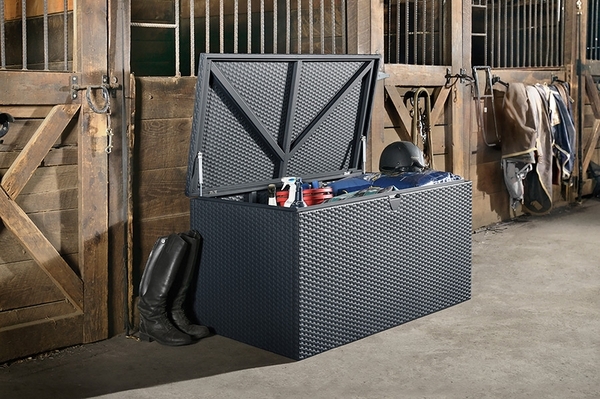 The Spacemaker Deck Box is a great steel storage box that's perfect for both indoor and outdoor. 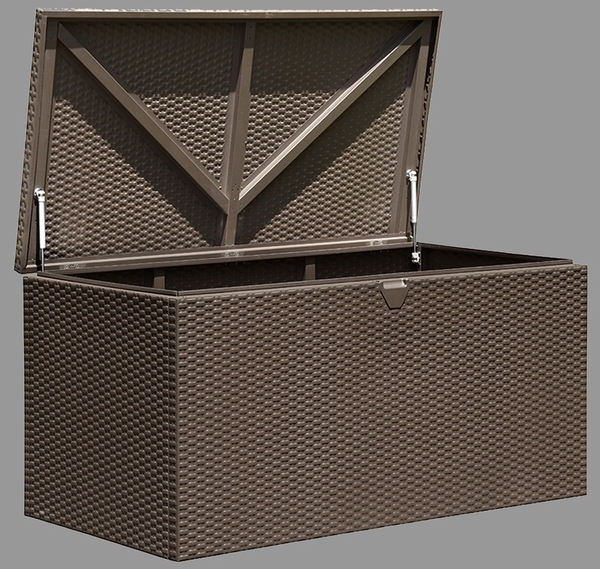 If you are looking for storage for the poolside or a container for your outdoor patio, you need to look no further. 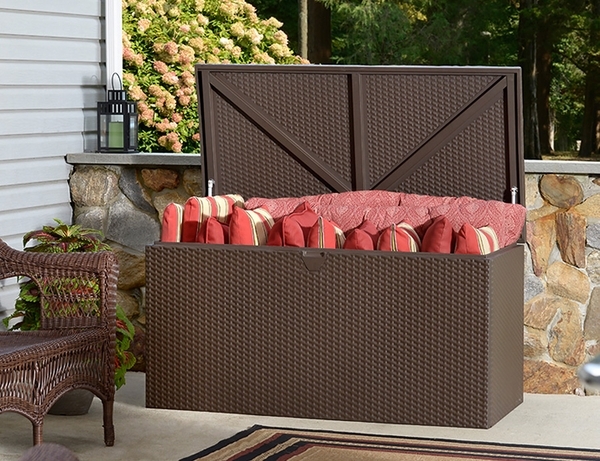 Need something sturdy that will store patio accessories during any season? Alternatively, need some indoor storage for your living room? 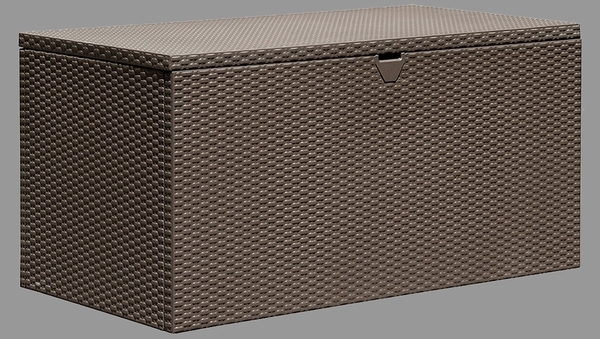 The Spacemaker Deck Box is the perfect storage solution. 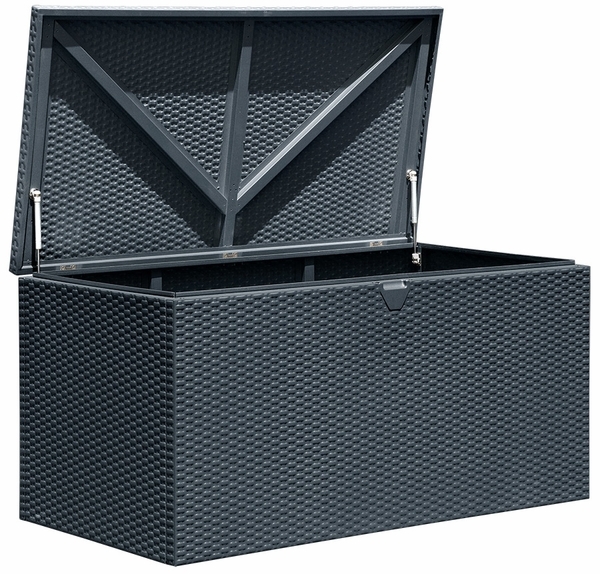 This anthracite chest will work well with any variety of decor.